Perfect for regular stapling at work, home or school this standard stapler fastens between 2-15 sheets. 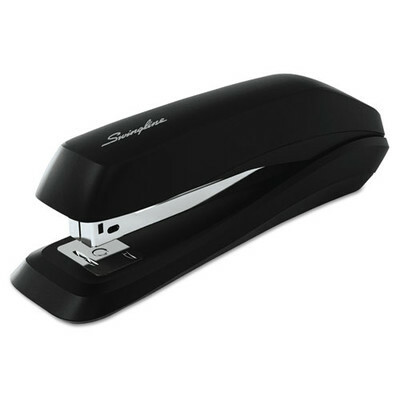 This classically designed stapler has a plastic cap that is made from recycled material. Stapler opens for tacking ability and has a rotating anvil to be able to create a temporary pin staple. Full rubber base prevents skidding during desktop use.